I’ve just got to get this out of the way before leaping into my official review. Hunter, I apologize for the delay in getting this piece up. On one hand a speedy review can help a promotional campaign in a lot of ways, but on the other hand, when I lag on getting these reviews up, it typically means I had the chance to read the book more than once. So, Hunter, I didn’t get this posted in the timely fashion I would have preferred, but I did have the time and opportunities to read it not once, not twice, but three separate occasions. I think three return trips to the same story means quite a bit; I stumble upon books I can’t finish once, let alone thrice. The Willet family has some dark, secretive links to the fabled Jersey Devil. That connection has haunted the family for generations, but when the devil’s launch an unexpected attack on humanity, the Willet’s may very well be the only human beings capable of bringing the monster’s terror filled run to an end. But it won’t be easy, and there will be blood… a lot of blood. Hunter Shea, today’s modern master of the monster story puts together a stellar tale that emphasizes familial unity, loyalty and dedication. Shea also reminds us that when he unleashes monsters on his readers, he pulls absolutely no punches. He tells a beautifully descriptive tale and he forces readers to truly love and respect the characters he creates. Shea has a special way with words and a special understanding of not just monsters, but humans. He uses that special gift to offer us – time and again – mesmerizing pieces of fiction. 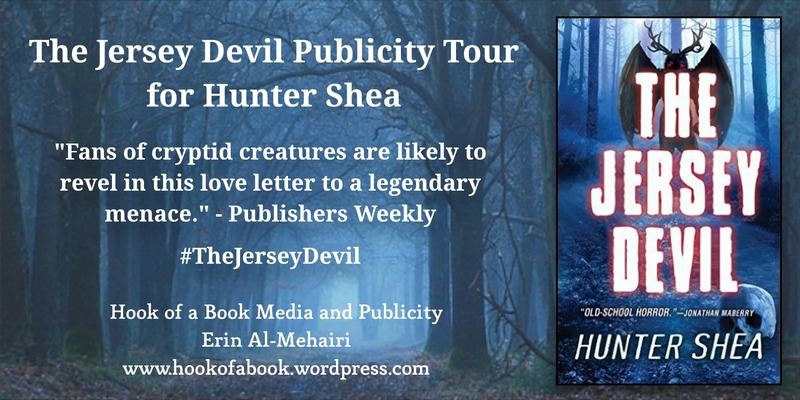 The Jersey Devil is a bit broader in scope than some of Shea’s past efforts, but he never loses control of his story and he never betrays his characters, establishing their personalities and allowing those personalities to carry the reader through twisted scenarios that leave us praying our heroic bunch will live to see the final page. But we’re talking about Hunter Shea here, and he isn’t afraid to eliminate characters we love in favor of gut-punching surprises. There is most certainly a body count here to be shocked by, as this book features more than a single blood bath. I’ve read every Shea novel to be released, and this might very well be the most violent, unforgiving story he’s written. It certainly has one of the highest body counts, which I couldn’t help but love. To say that The Jersey Devil is impressive is a serious understatement. This is one of the best novels to be released in 2016.